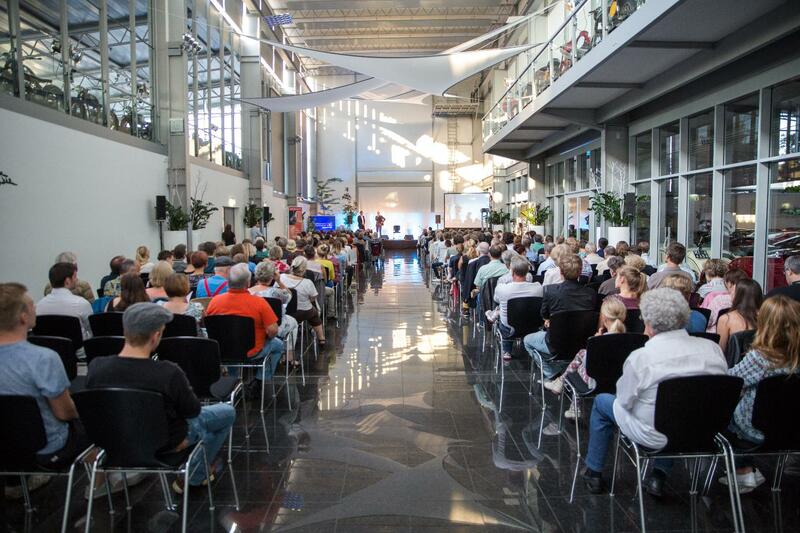 Concerts are held by the International Guitar Festival in the multifunctional hall built by the town of Hersbruck in its Centre of Excellence for Children. The hall can accommodate up to 500 visitors and has excellent acoustics. In addition to the best possible sound and lighting, the hall is very appealing, having modern facilities, large windows and a pleasant atmosphere. The foyer, the adjoining catering area and an outdoor terrace invite you to stay for a while before the concerts and during the intervals. There is a concert every year in the Dauphin Speed Event Hall. Besides wonderful acoustics, the hall offers an atmospere for up to 500 guests which is quite unique. 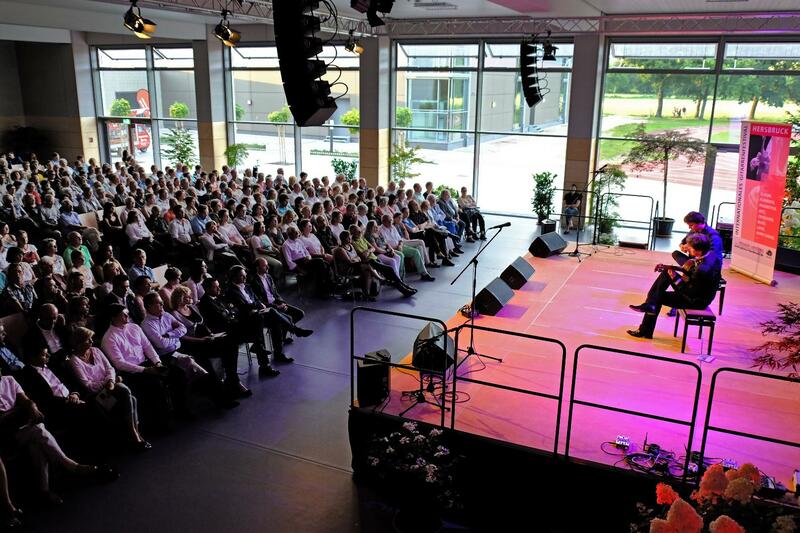 In every respect, the former factory hall makes the concertgoers most welcome. 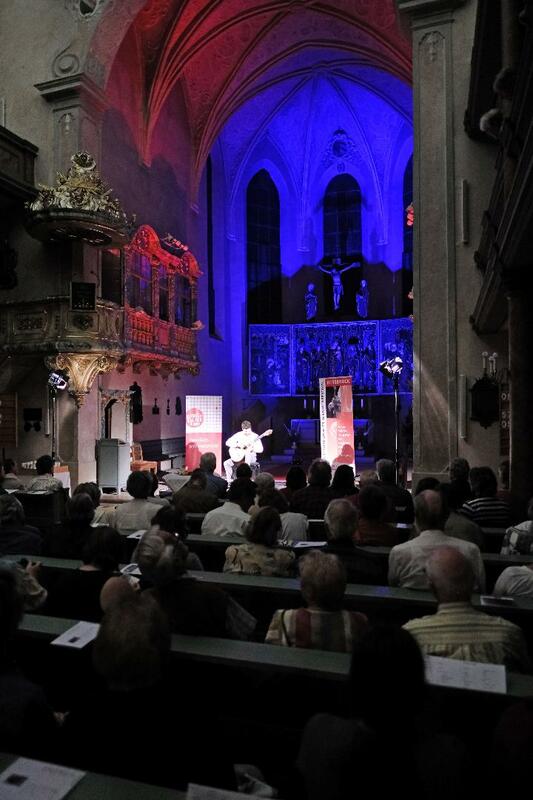 As part of the series of concerts, the International Guitar Festival holds a classical concert in the historic church of St. Mary every year. The high church building with its two galleries offers the concerts the finest quality of sound. A perfect atmosphere for the classical guitar.